Founded by a trio of friends who bonded over their love of good beer, a new brewery on Troutman Street hopes to bring Bushwick beer brewing back to its former glory. 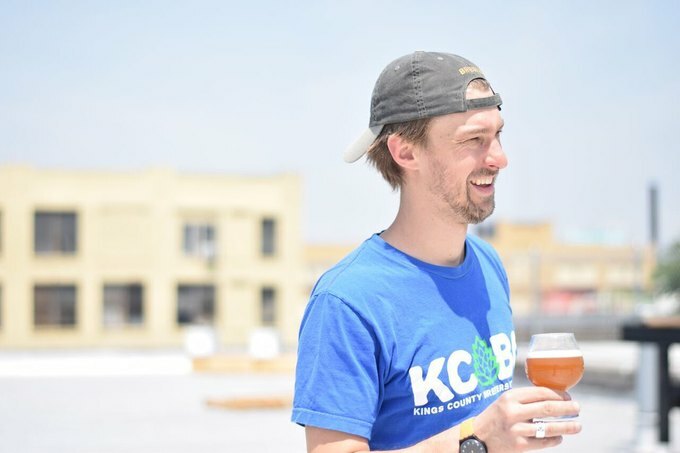 When Bushwick Daily last spoke with with the owners and brewers behind Kings County Brewers Collective, it was January and they had just found themselves a home at 381 Troutman Street. 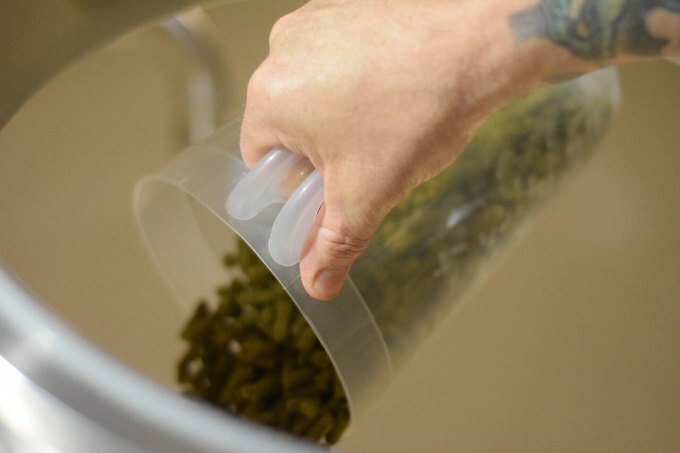 Six months later and the guys are brewing their first large-scale batch of beer and aiming to open to the public and start delivering kegs to local bars by the end of the summer. 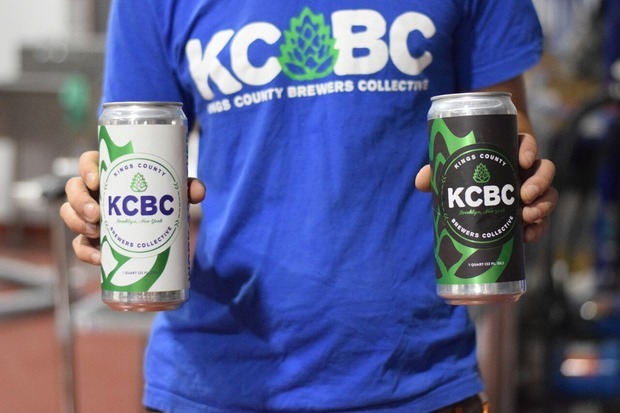 KCBC is co-owned by Zack Kinnery, Tony Bellis, and Pete Lengyel, all graduates of the American Brewers Guild in Vermont. They were each trying to open breweries separately and came together when they realized with their combined knowledge and different areas of expertise, they could do something really great as a unit. At the turn of the century, Brooklyn was the brewing capital of the US, home to at least 45 different breweries— but in the early 1900s, there was a major hop blight, which was followed by Prohibition, forcing a majority of the smaller breweries to close. The borough's largest breweries remained for a few more decades, but the last brewery in Bushwick closed in 1976. Zack Kinney, partial owner, enjoying a beer of his own making. Photo by Ruthie Darling for Bushwick Daily. In their first year, the collective hopes to reach 1,000 barrels. They have a wide range of beers, from a session IPA, to a summer saison, to a pilsner, to a hoppy brown ale. Also, a strawberry-guava sour called “Beach Zombie”, and an oak smoked wheat beer: “something for everyone,” the trio hopes. You can except to start seeing their beers in local bars such as The Sampler, Sweet Jane’s, Boobie Trap, Pizza Party, and their very own tap room in the front, street-facing side of their 381 Troutman location. Yes, that means Bushwick is not only getting a new brewery, but also a new bar, which is a pretty sweet deal. Also expect weekly brewery tours open to the public, beer classes, and beer and cheese pairings. “Our goal is to educate and enlighten,” Kinney says. And we could not be more eager to learn! 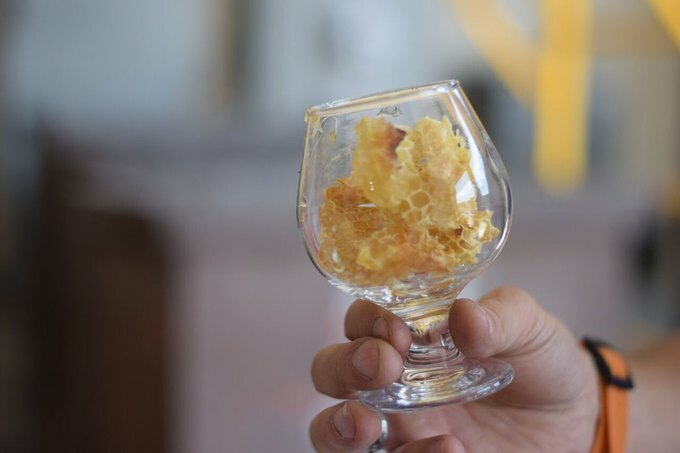 Bonus fact: they are keeping bees on the roof and producing their own honey in small batches just for fun. Keep your eyes peeled for more news regarding KCBC’s official opening date and distribution to other bars. You may find yourself with a new favorite beer. Follow KCBC on Facebook, Instagram and Twitter.